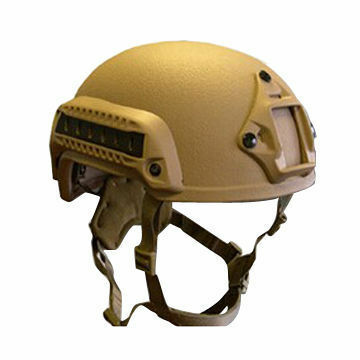 We are the prominent organization of this domain engaged in offering a wide spectrum of Ballistic Helmet. This helmet is manufactured using quality materials approved by the safety agencies. The offered helmet weighs 1.6Kgs and having high load capacity pressure 2000NB2. It has the ISO, CE, E-Mark and UL certification and developed according to the international industry standards. At our export unit, we pack the helmet dispatch it to the clients within the said time.